Hello everyone! A fun lipstick review today and I apologize for not posting anything at all last week (there was no internet in the house). 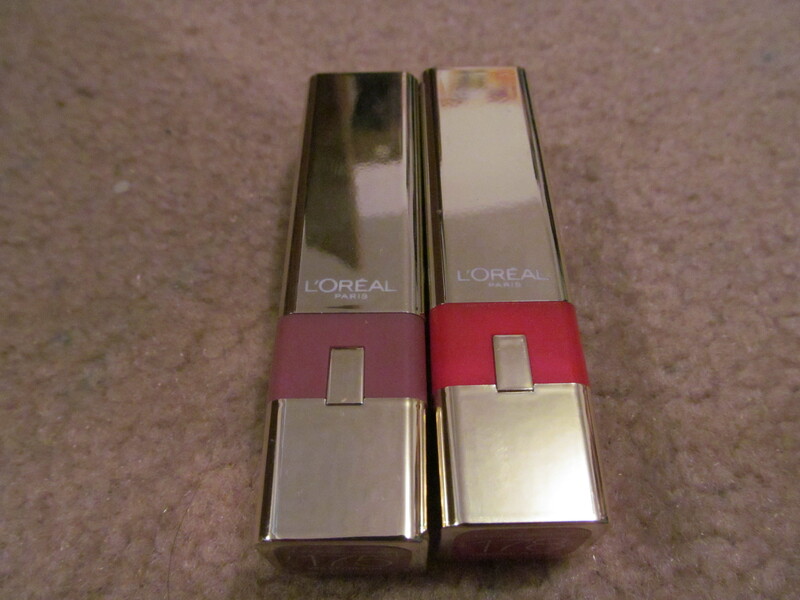 Description: Violet Chiffon is a creamy berry purple, Cardinal Plume is a coral orange red with golden shimmers. Review: Don’t the shades look gorgeous granted Violet Chiffon isn’t really summer-friendly Cardinal Plume is just gorgeous. I love the packaging of this they have the actual shade on the side which makes is easy to see which shade I will be picking up if stored on it’s side. It’s also a fantastic classy shade of gold that is just great and I don’t have any issues with the packaging no matter how many times I’ve dropped it. 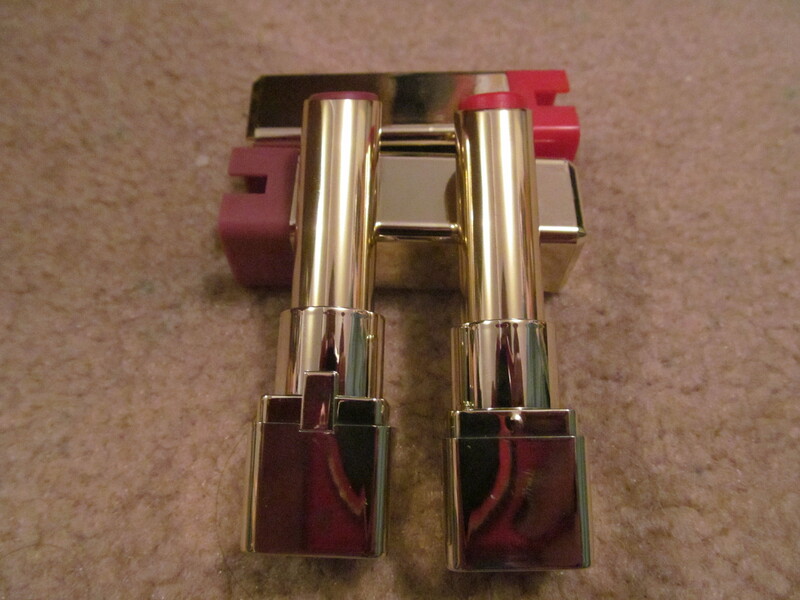 Onto the formulation of the lipsticks as that is the most important thing. These glide on very smoothly on the lips, do not settle into any liplines and don’t migrate around your face. As you can tell in the swatches they are pigmented and can be swiped across the lips more than once to have even more pigmentation to the shade. Cardinal Plume is a great everyday shade especially in the summer and Violet Chiffon is in a category of it’s own. 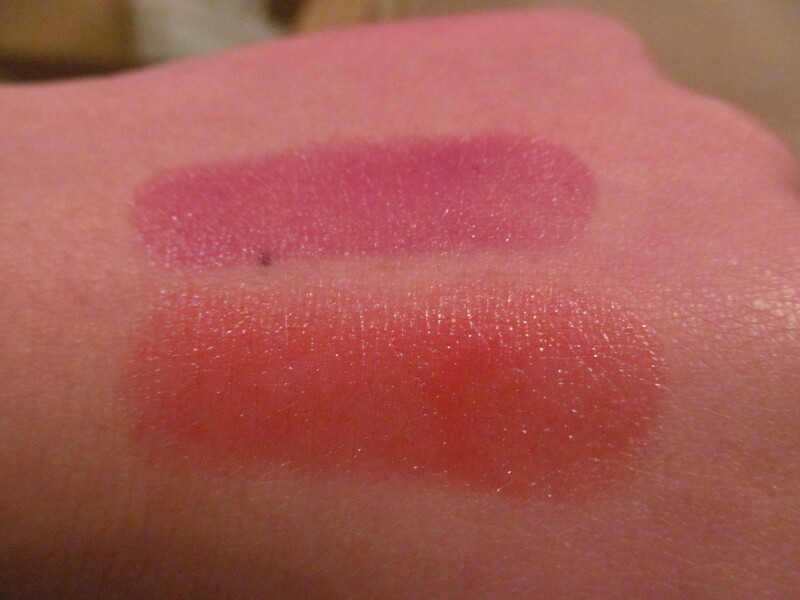 It’s sort of vampy when swatched more than once on the lips but can look really spring like with just one swipe across the lips. A great all seasons shade just don’t let the purple trick you it looks very berry like on the lips (like you just ate some blueberries). 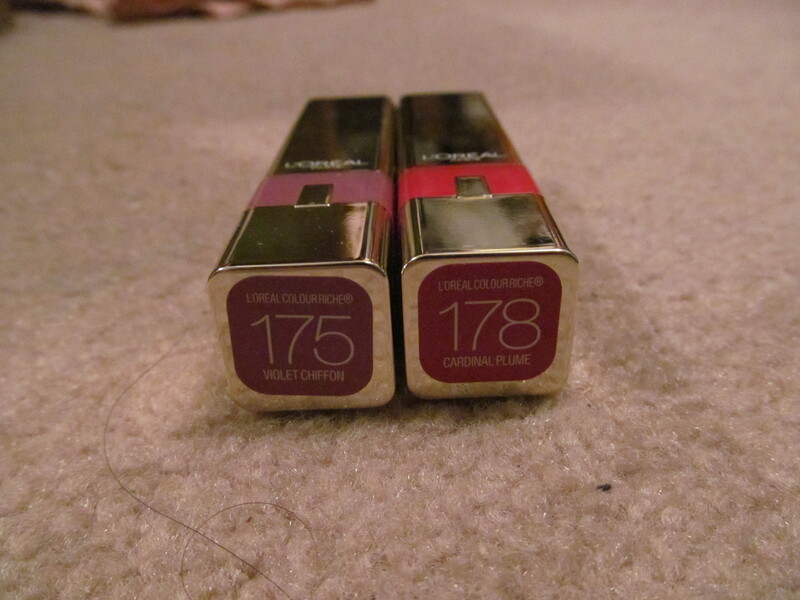 Overall, I love the lipsticks in this range I’m just a little upset that they cost $10CDN each. Would I recommend this product? Yes, I am in love with these lipsticks I will definately be picking up more sometime in the near future (if I can’t resist). Oh! I really want violet chiffon. I’m so into purple lips right now!